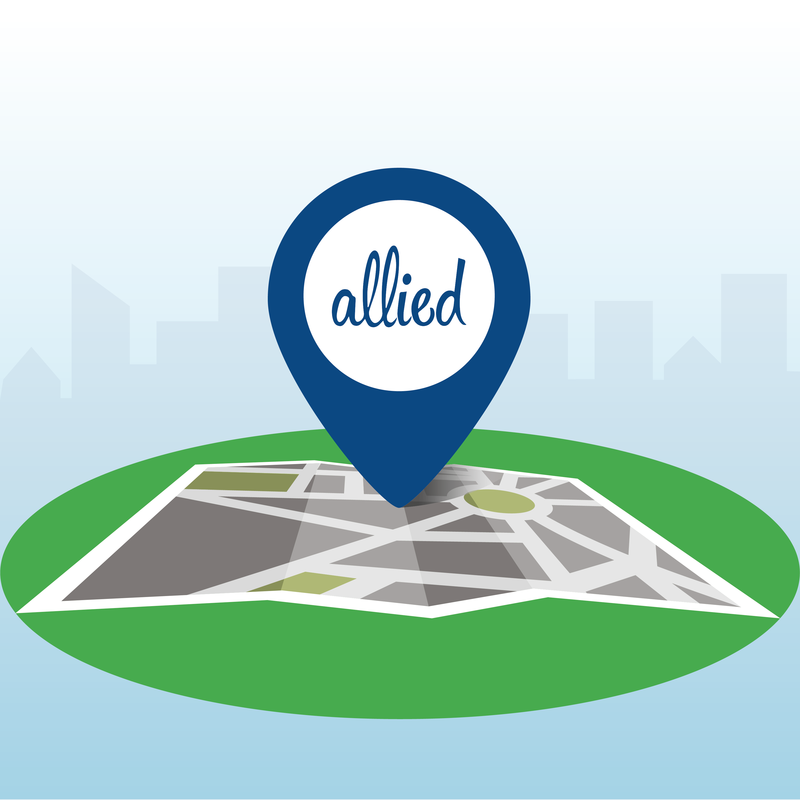 Allied Healthcare is proud to promote inclusion, diversity and equality. 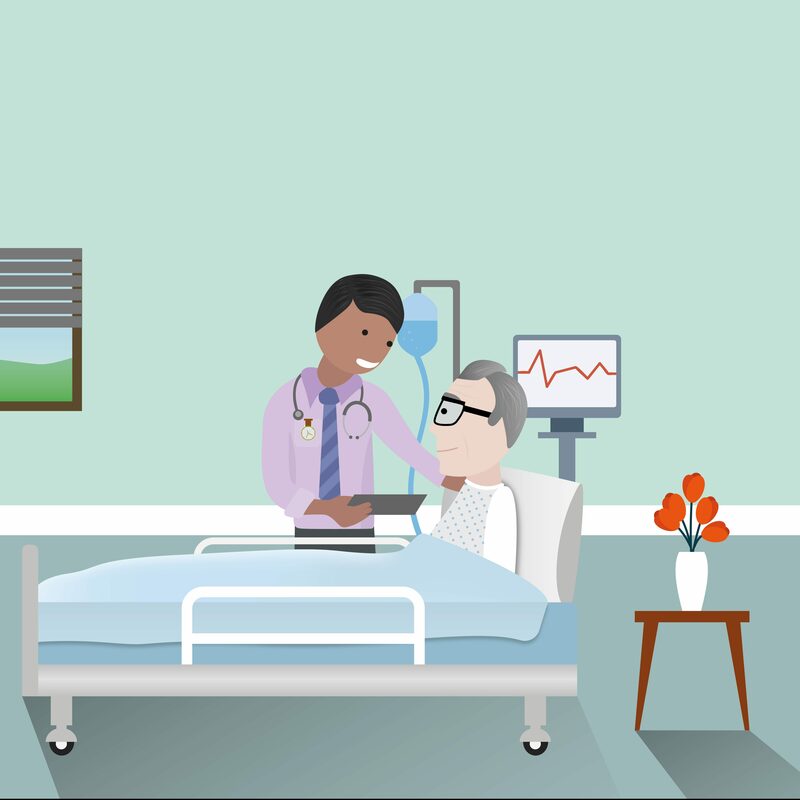 Allied Healthcare is proud to promote inclusion, diversity and equality. 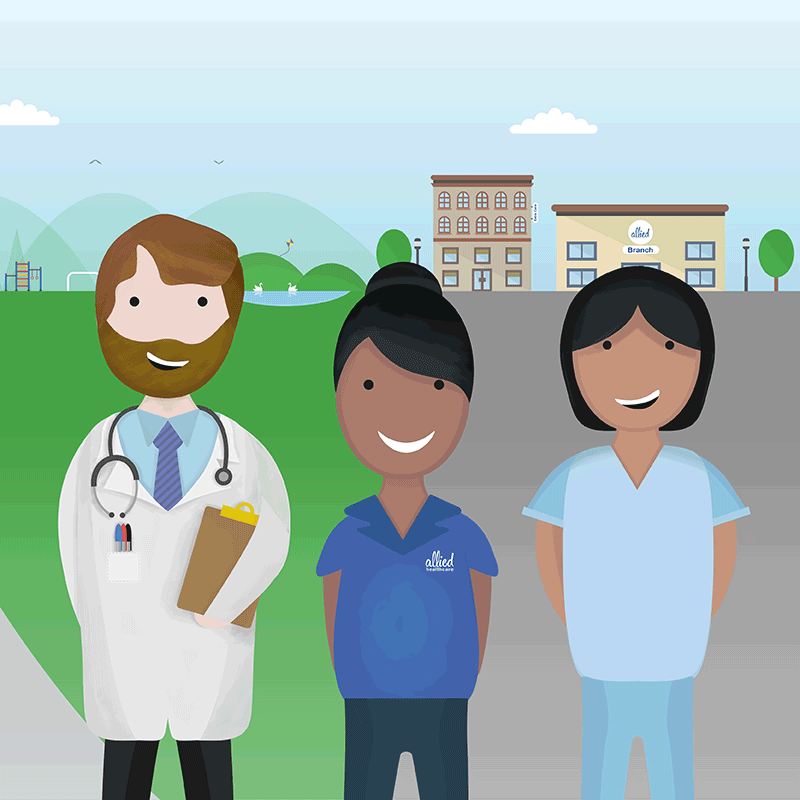 We are committed to ensuring that our colleagues are treated equally and fairly, with all having the same opportunities to thrive and earn what they deserve without bias. The experience of collating this report has been very beneficial in helping us to identify where we stand when looking at gender pay. Although the results discussed are very positive, we understand that we can always improve and we will strive to do so. I confirm that the information and data reported is accurate as of the snapshot date 5 April 2018. This summary is based on data for over 8000 employees who received pay/bonus during the relevant reporting period for gender pay gap reporting. 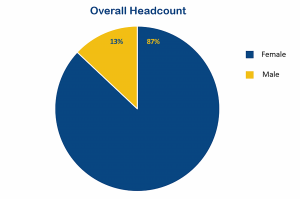 Around 81% of these employees are client facing colleagues whilst the remaining 19% make up our branch operations and head office support functions. We have a very strong female representation at Allied Healthcare. Women represent 87% of the total reported workforce. 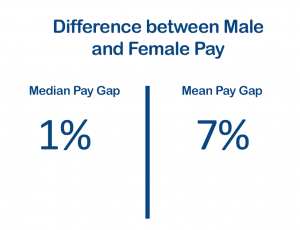 When looking at the gender pay gap as a median and a mean average our results are very positive. 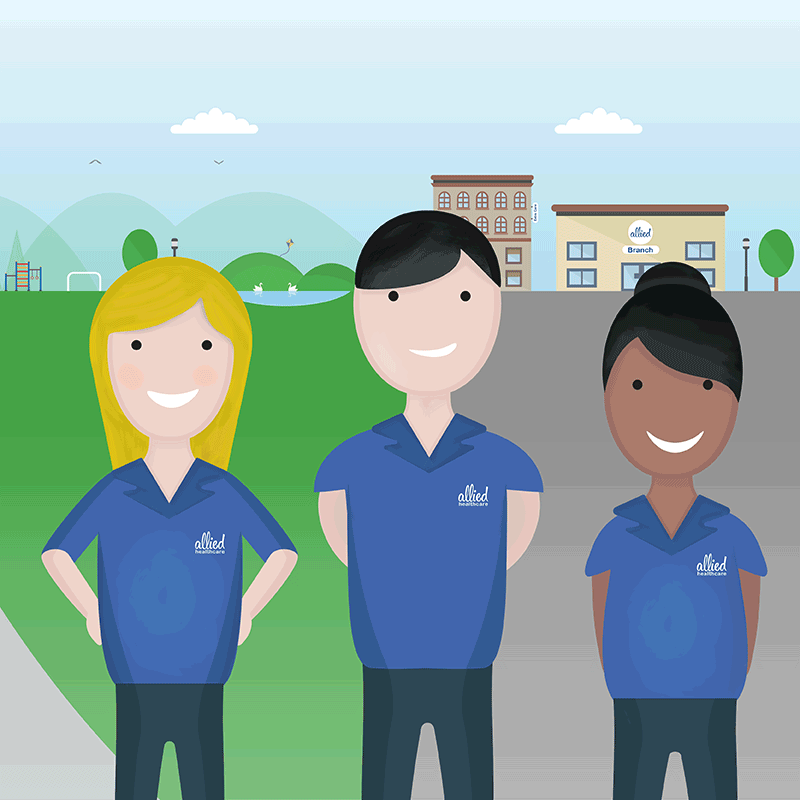 The averages show that there is only a very small gap in the average earnings of men and women at Allied Healthcare. As of April 2018, the median gap was 2% and the mean gap was also 2%. This compares very favourably with the national averages of 18.4% for the median gap and 17.4% for the mean gap. This compares very well with the other companies in our sector with many having a much wider gap. One of the reasons our pay gap is so small is that 60% of our executive team and 80% of our senior management team are female. This means that female representation in the highest paid roles in the company is very strong. 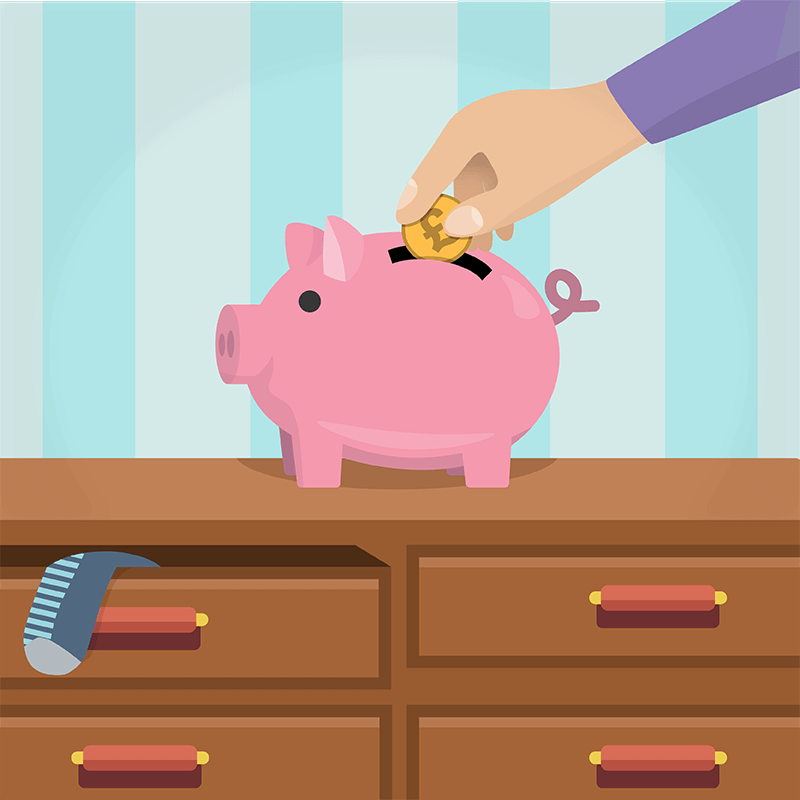 The small gap that is seen can be attributed to a higher percentage of men in departments like IT and finance. 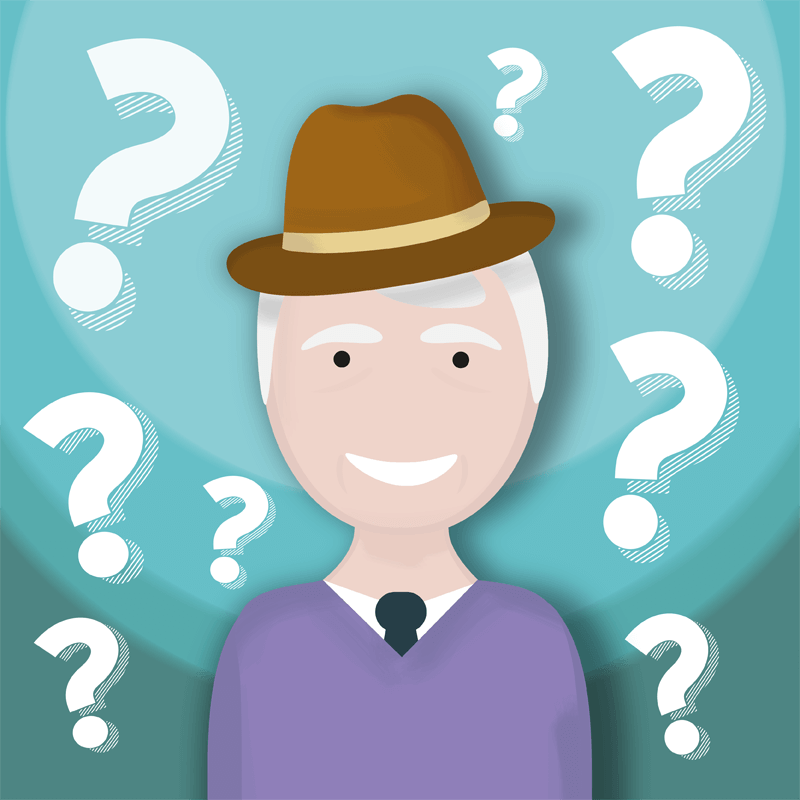 Roles in these departments generally fall into the highest paid quartile. Despite very strong female representation at executive and senior management levels, this has then resulted in male representation in the upper quartile being 16%, slightly higher than the company average for male representation of 13%. The median bonus gap is 1%. This is because we pay many of our client facing colleague’s small bonus payments for winning monthly and quarterly awards, referring friends and as incentives to support when needed. 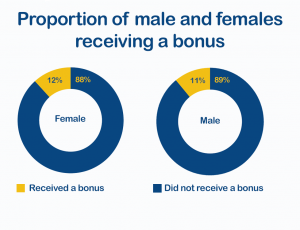 With these payments representing the majority of bonus payments paid, and with little difference in bonus payments between men and women at this level, the middle point gap is very small. The mean bonus gap is 7% and the reason for this is twofold. Firstly, 91% of our bonus payments are small and paid to our client facing colleagues as discussed. With the majority of our workforce being client facing colleagues, and with the majority of these colleagues being female, small bonus payments made to this predominantly female population are creating a gap when looking at the mean average for the overall workforce. These payments are however made for very positive reasons and the inflation of the gap for this reason should therefore not be seen as a negative. We have a slightly higher percentage of female colleagues (11.76%) receiving a bonus compared with their male counterparts (11.36%). Secondly, as discussed we have a slightly higher male representation in the upper quartile. This quartile is where the 9% of more significant bonus payments are paid and with a 3% higher male representation in this quartile compared to the company average the mean bonus gap has increased slightly. This is supported by the fact that a much higher percentage of female colleagues (23%) received a bonus compared with their male counterparts (17%). Secondly, as discussed we have a slightly higher male representation in the upper quartile. 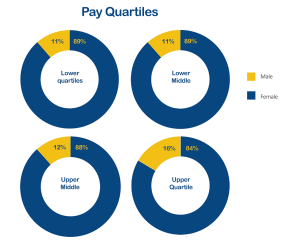 This quartile is where the 9% of more significant bonus payments are paid and with a 2% higher male representation in this quartile compared to the company average the mean bonus gap has increased slightly. 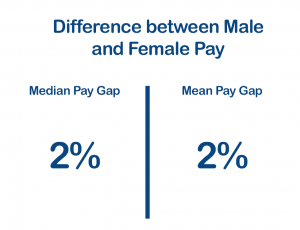 In summary, we are pleased that the gap is so small when looking at our mean and median pay. We do however know that we still have work to do if we are to increase female representation slightly in our upper quartile to give an even more neutral gap. This will in turn support the reduction in our mean bonus pay gap. We are committed to support solving the UK wide problem of a lack of female representation in upper quartile roles in departments like finance and IT.